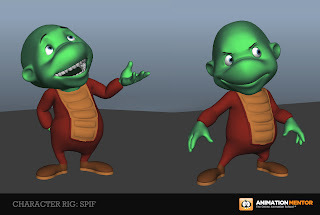 Animation Tips & Tricks: Animation Mentor’s latest character is here, Spif! 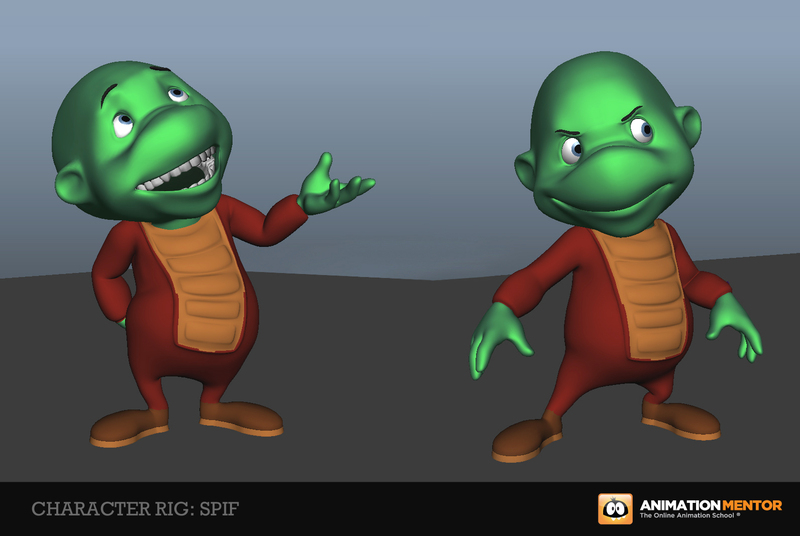 Animation Mentor’s latest character is here, Spif! Here is a sneak peek of our new character Spif! Spif goes live to our class 4 – 6 students and our Character Animation Alumni today (3/26/12)! I’ve been playing around with the rig personally and have found it to be super flexible and easy to work with. Great for getting appealing poses and a diverse range of acting choices and styles. We’re super excited to see all the incredible work our students and alumni do bringing this character to life. This week we are also rolling out our active library of 10 characters, Spif being one of them, to our entire Character Animation Alumni community! It’s a great feeling to be providing the ongoing support and encouragement to help our Alumni community thrive and we know they are chomping at the bit to get their hands on all this goodness! awwww.. I wish it was open to all students, including Animals n Creatures. Thank you for sharing about the new class.